New passenger vehicle registrations in France in 2016 increased by 5.1%. The PSA Group was the top-selling carmaker with Renault the best-selling brand. Most of the gains went to foreign brands although Renault and Dacia also had stronger sales. The Renault Clio was again the favorite car model of the French. New passenger vehicle registrations in France increased by 5.1% to 2,015,186 cars for the full 2016 calendar year. This was the best performance by the French car market since 2011 and the first time in five years that the French passenger vehicle market exceeded two million cars in a calendar year. Most of the gains in new car sales in France in 2016 accrued to foreign brands. French car manufacturers took a 54% market share with 1,078,433 sales a below market average increase of 3.7%. Foreign brands increased market share by 6.8% to 936,753 sales. The total French vehicle market – including passenger cars, light and heavy commercial vehicles – increased by 5.6% in 2016 to 2,452,283 vehicles. Although diesel was again the most popular fuel type for new cars sold in France in 2016, the market share slipped from 57.22% in 2015 to 52.12% in 2016. Most of the gains accrued to petrol cars – up from 38.56% to 43.82% in 2016. Hybrid car sales in France in 2016 slipped to 58,384 from 61,619 in 2015. Electric car sales increased from 17,268 cars in 2015 to 21,751 in 2016 – electric cars had a 1,08% share of the new car market in France in 2016. The top three car manufacturing groups in France remained unaltered for another year. The PSA Groups remained the largest followed by Renault and Volkswagen. However, the PSA Group with flat sales and the VW Group with below market average increases in sales in France in 2016 both lost market share to Renault. The PSA Groups’ flat performance in France in 2016 was largely due to weaker sales at Citroen while Peugeot sales were higher but well below the market average. 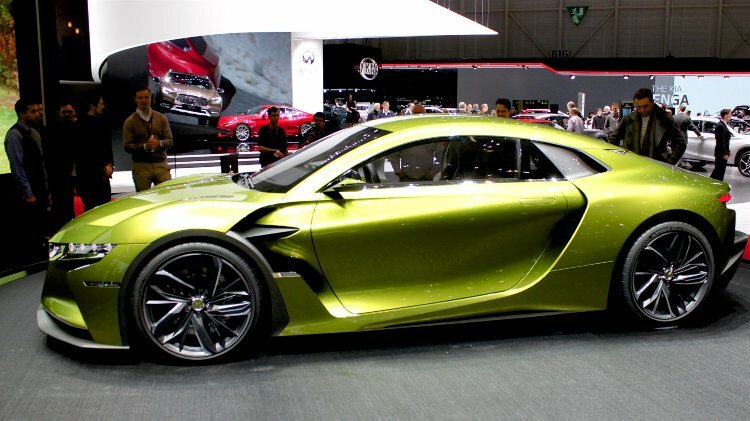 DS continued to struggle and is now only the 15th largest car brand in France. The PSA sold only 261 cars more in France in 2016 than a year ago – the French new car market as a whole grew by around 100,000 cars. In contrast, the Renault Group added nearly 40,000 cars with both Renault and Dacia outperforming the market. Renault increased its lead as France’s largest car marque with the Renault Clio still France’s favorite car model. The Volkswagen Group underperformed the broader market in France in 2016 with Volkswagen sales flat but Audi and Skoda sales stronger. Volkswagen brand sales were down by 0.7% with the brand performing noticeable stronger towards the end of 2016 but partly also due to exceptionally weak numbers at the end of 2015 after the emission scandal broke. The BMW Group increased sales in France in 2016 by 12.7% with both BMW and Mini sales increasing by double digits. The BMW Group overtook Ford and Toyota in France. The Toyota Group had stronger sales in France in 2016 and overtook the Ford Group but fell behind BMW. The Fiat Group had a strong year in France in 2016 with Fiat, Jeep and even Alfa Romeo increasing sales by around 15% each. The FCA Group overtook both Nissan and Ford in France. The Ford Group had weaker sales in France in 2016. Although Ford remained the sixth best-selling car brand in France in 2016, the group fell behind BMW, Toyota and Fiat. The Nissan Group had the worst performance of any car-manufacturing group in France in 2016. Nissan brand sales were down 6.8% – of the top brands only DS performed worse – and clearly behind Toyota. The Daimler Group had another strong year in France in 2016 with both Mercedes Benz and Smart sales increasing strongly. The GM Group fell behind Daimler but Opel for once outperformed the broader market. The Hyundai Group had a strong year in France in 2016 with Hyundai the best-performing brand in France in 2016 and Kia not far behind. Volvo figures were released separately for the first time in this data set in 2016. There were only very minor changes in the rank order of the top-20 best-selling car brands in France in 2016: Toyota moved ahead of Nissan, Fiat overtook Mercedes Benz, Kia pulled ahead of DS, and Skoda outsold sister brand Seat. The most-improved brands were Hyundai, Kia and Fiat. The worst-performing brands were DS, Nissan and Citroen.